Smart SEO it’s a Joomla Plugin that gives you the oportunity to improve and have your website content optimized for search engines like Google, Yahoo, Bing, MSN and so on. Want to have more traffic on your website? 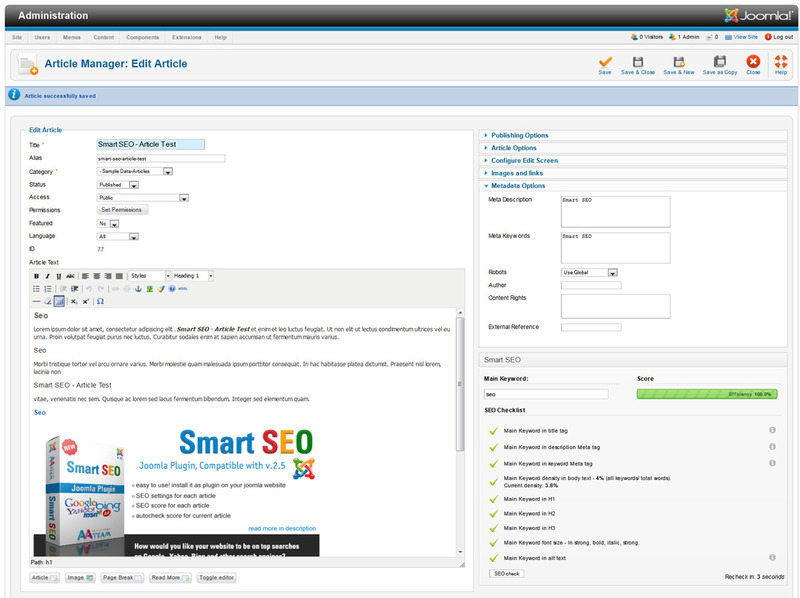 With our Smart SEO Joomla plugin you can in no time! It doesn’t get any easier! No coding or technical skills necessary. Check density of Main keyword? Check if you want to have active this option. Check – Main keyword in title tag? Check – Main keywords in meta description? Check – Main keywords in meta keywords? Do you have a blog, facebook account, you like to tweet, dribble, share on pinterest or any hobbies of this kind? What if I told you you can earn money by just sharing a link ? All you have to do is to create an Envato account, if you don’t have one, then send traffic to any of our products while adding your account username to the end of the URL. When a new user clicks your referral link, purchases the item (or deposits money) you will receive 30% of that person’s first cash deposit or purchase price. If they deposit $20 into their account, you get $6. If they buy a $200 item, you get $60. We’ve made a list with customized banners & links that you can easily add to your blog or share on facebook, twitter, pinterest and so on. If you have any requests on banner sizes, please send us an email at aa.teamdeveloper@gmail.com .